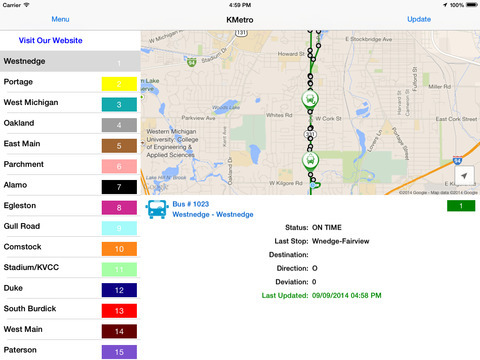 Kalamazoo Metro Transit’s “Track My Bus” app will assist with locating your bus and finding the time it will arrive at your bus stop. 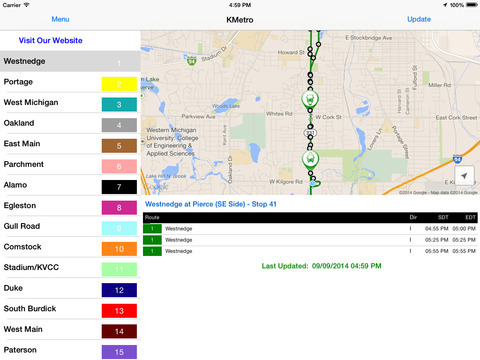 View real-time Kalamazoo city bus locations. See where your bus is located on it’s route.